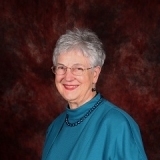 Beverly Teter is a Research associate at the University of Maryland, the university from which she received her PhD. She is also the current president of the American College of Nutrition a group dedicated to sound scientific study of human nutrition. Beverly has received two awards based on her dedication and vast knowledge of Science and Nutrition. The American College of Nutrition awarded her the "Master of American College of Nutrition" and the Weston A. Price Foundation rewarded her their 'Scientific Integrity Award'. She has published chapters in various books on subjects such as fruit and vegetable by products, the role of medium chain triglycerides in weight management, and alterations in milk fat percent and composition when subjects ingest trans-fatty acids. Beverly was inspired to study nutrition when she was researching the ingredients of the food she fed her children. After researching the fat content of a selection of foods for the USDA she saw that there was quite a bit of trans fatty acids in the diet coming from the partially hydrogenated fat used in manufacturing. This led to several experiments studying the harmful effects of trans fatty acids in the milk of three species - first mice, then cows, and finally humans. In each species the mothers which were fed trans fatty acids had lower milk fat than the controls without the trans fats. This effect lowers the energy and essential fatty acids the offspring need. When she is not in the lab, Beverly enjoys working with graduates students, teaching and demonstrating techniques in the analysis of fatty acids in the diets and tissues of the study animals. She attributes her success to hard work, good planning of studies, and feeling passionate about what is in the foods she feeds herself and family.